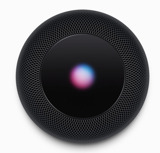 Even if it supports other Apple devices, people buying a HomePod will allegedly need an iPhone, iPad, or iPod touch to complete initial setup. Users will have to pair with a HomePod in a process similar to AirPods, according to iHelp BR, which examined code in the latest iOS 11 beta. It's believed that the speaker's Siri assistant may read out a four-digit authentication code. People may also need the last four digits of their HomePod or iOS device's serial number, presumably in case of earlier failed setup attempts. Two-factor authentication and iCloud Keychain could be required to complete some steps in the pairing process, and indeed people will have to be on a WPA or WPA2 Wi-Fi network for setup to work in the first place. Signing in with an Apple ID will sync a HomePod with iCloud and Apple Music. Configuration options should include setting a gender and accent for Siri, choosing manual or automatic updates through a nearby iOS device, and whether or not to send diagnostic data to Apple on a daily basis. For people wealthy enough to afford multiple HomePods, there will reportedly be options to update and change settings across several devices at once. A bit later after the original reveal, iOS developer Guilherme Rambo posted a video of what the setup process may look like. Announced at June's Worldwide Developers Conference, the HomePod is due to ship in December for $349. That will make it far more expensive that rival smartspeakers by Amazon and Google, but Apple is placing an emphasis on higher-quality sound, as well as the ability to function as a HomeKit hub.